A new home landscaping in the backyard. these clients wanted a large entertaining area. So you have just bought a new home and the backyard landscaping is most likely not done. What to do? 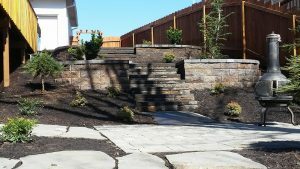 My first suggestion if you are wanting hardscapes or designated areas for entertaining, is to hire a qualified landscape designer. 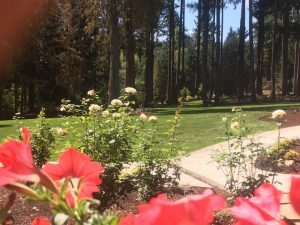 A good landscape design will give you peace of mind of what you want and it makes it much easier for landscape contractors to give landscape estimates that are apples to apples. Why have a apple and orange estimate. They are not the same. This side yard need a way to get to the back yard. We installed retaining walls and steps to get to the paver patio in the backyard. Even if you do not hire a landscape designer, make sure you have a good idea of what you want in your landscaping estimate. If you are not sure, spend some time and get it figured out. The last thing you want is a bunch of different ideas from contractors who supply the landscape estimates. Again, the apples to apples bidding process is best for you. How cozy. Water feature, fire pit, patio and seat wall. 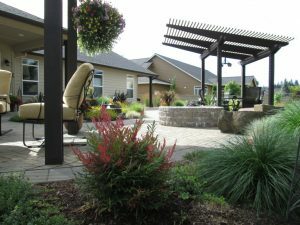 We take pride in our design build landscaping projects we install. For most of designs we use Gregg and Ellis Landscape Designs. We are very happy with their service. Our clients love them and we have developed a great relationship with them. Their website link. http://www.greggandellis.com/ . I feel a independent landscape designer offers far more than a typical landscape contractor. Designers spend the time with clients to up with a project that is tailored to them. Most landscape contractors design what they know best. that usually means that a lot of designs are a cookie cutter type. Here are a couple of landscape blog posts we have written that may be of interest to you. 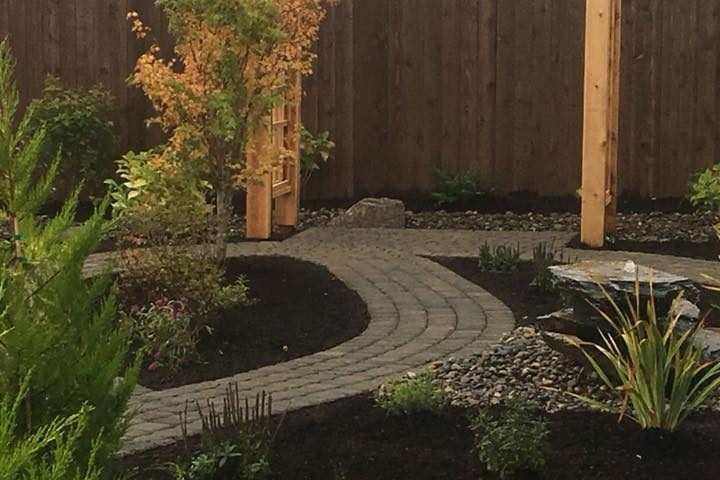 http://woodyscustomlandscaping.com/outdoor-living-vancouver-washington/ . 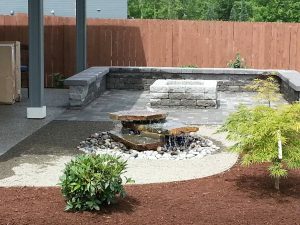 http://woodyscustomlandscaping.com/outdoor-living-clark-county-washington/ . You should find them helpful.